There are many things to love about the book. The artwork is stunning and it is all beautifully presented. However, I am only giving it four stars rather than five because of how much is missing. 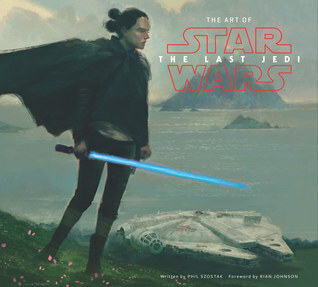 There's very little artwork relating to major plot moments such as Rey and Kylo's force bond (only one picture in 256 pages) and nothing showing the lightsaber duel with the Praetorian Guard. Indeed, considering he's a main character, there are but a handful of pictures of Kylo Ren in general. I can only assume this was an attempt to avoid spoilers in the book, but I would really prefer it if they released the book a little later and then included everything, as it's frustrating to see all the gaps. Nevertheless, this is still a nice collector's book for fans of the franchise. It's a lovely coffee table read.